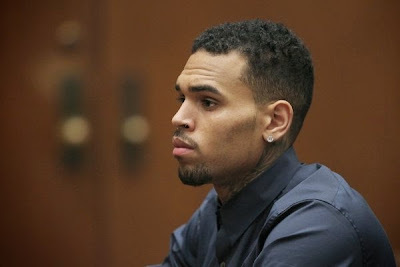 [ SOURCE ] Singer Chris Brown was arrested Friday afternoon by Los Angeles County sheriff's deputies after he allegedly violated probation related to his 2009 conviction for assaulting his then-girlfriend Rihanna. The singer was booked into jail in downtown Los Angeles, where he is being held without bail. The warrant was issued for a probation violation related to his 2009 conviction in the assault on Rihanna, authorities said. Brown was "cooperative" when deputies arrested him in Malibu about 2 p.m. Friday, according to a statement released by the sheriff's department. Two sheriff's officials who had been briefed on the arrest told The Times that a judge asked the rehab facility to notify authorities if Brown showed up. The facility called authorities Friday when Brown arrived and advised them the singer was supposed to be arrested. After confirming the warrant with the Probation Department, sheriff's deputies arrested the singer.